Cylindrical coordinates are an alternative to the more common Cartesian coordinate system. 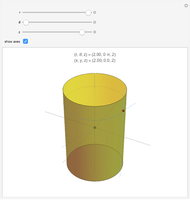 This system is a generalization of polar coordinates to three dimensions by superimposing a height ( ) axis. 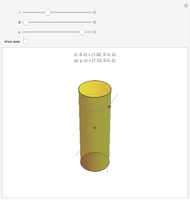 Move the sliders to convert cylindrical coordinates to Cartesian coordinates for a comparison.